Computers are everywhere these days. Inside medical equipment; behind interactive whiteboards in offices and schools; in cellphones; in kitchen appliances; at the heart of TVs, watches and so much more. They are even in cash registers – and are also a very big part of the digital retail industry. Just think about it: You can pretty much order anything online, from groceries to home furnishings and more. Cars, even. You can get online insurance quotes; sign up and pay for swimming lessons; go online again and shop for a bathing suit – pay for it and request expedited delivery. More and more physical stores have opened ecommerce branches, and those businesses need local warehouses to store the goods that will be shipped out. Sometimes warehouses like this are located regionally to keep shipping times to a minimum, or they may be headquartered centrally, perhaps one in North America and one somewhere in Europe. You are reading a blog by one such warehouse operator, right now. Since 1956, the Shepard family has been providing custom packaging, distribution, assembly and fulfillment services throughout North America via Borderline Systems Niagara Inc., located in St. Catharines. We are now in our third generation of ownership and operation, working closely with our clients to provide, fast, cost-effective storage and shipping solutions for each product we handle. Our 46,000 square-foot warehouse and production facility is staffed by professionals who understand our clients’ needs, and their customers’ needs, too. Computers are a great help to us, as our warehouse management system allows us to track inventories; choose stock locations; control receiving and expedite packaging and shipping functions. 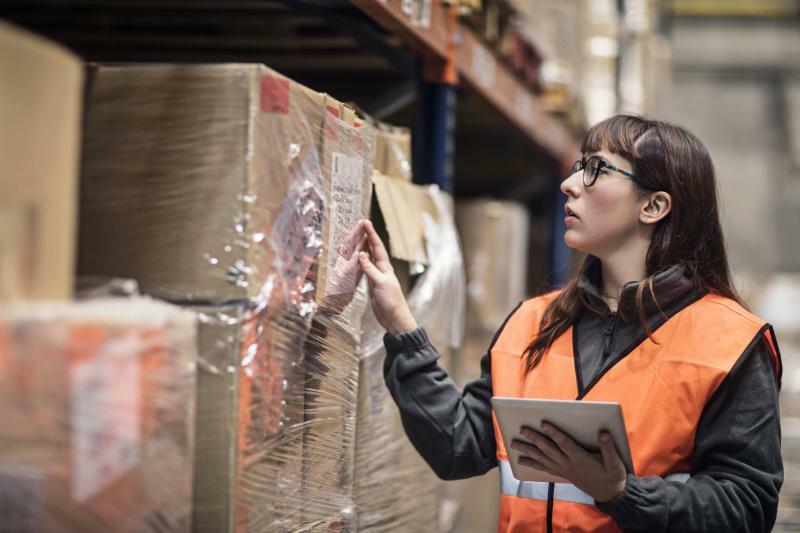 What, exactly, is a warehouse management system? Put in the simplest terms possible, it is computer software that efficiently controls the movement of materials within a warehouse. Some WMS applications can be so complex and data intensive, they require a dedicated staff like Borderline’s to run them. Some days get complicated, so we even employ technologies to help us keep things straight – like radio frequency identification (RFID) or voice recognition systems. We do all of this so our clients don’t have to. Borderline provides the “bricks and mortar” Canadian location for our clients, some of whom are foreign, so they don’t have the added expense of setting up and running a distribution centre. Borderline Systems Niagara Inc. is their distribution centre. Some of our clients include the LCBO; Amazon.ca; Walmart; Home Depot; Costco; CTC; Lowes; Rona; Home Hardware and scores of others. Storage, distribution and fulfillment is something we are really good at, with the help of our WMS software! So, you see – computers really are everywhere. They enable Borderline’s professionals to operate as efficiently as possible; to treat our staff and clients with respect; to offer courteous service; to go the extra mile to keep our customers – and their customers – happy. Want to know more about Borderline’s warehousing, packaging and fulfillment systems? Reach us by phone at 905-687-4014, or send us a message via the contact page on our website, HERE.